A monumental sculpture symbolizing the love and legacy of Dr. Martin Luther King, Jr., and Coretta Scott King will be erected in the historic Boston Common sometime in 2020, according to The Boston Globe. Designed by artist Hank Willis Thomas and MASS Design Group, The Embrace was chosen from a pool of impressive works honoring the beloved civil rights leaders; the 22-foot-high pair of clasped bronze arms rose above the fold. King Boston, the organization behind the memorial project, announced the winning design yesterday. Cochairman Paul English told The Globe the decision was near unanimous—both the art committee and the members of the public who viewed the proposal on display at various locations around town, agreed it should be built. “The committee was really moved by it,” English said. “They thought it was iconic. People would come to see it and take pictures and share it. You could imagine people hugging each other next to it.” Not only did the selection committee and thousands of Bostonians consider The Embrace a moving work of art, the design would also be much less expensive and easier to construct than the other five finalists. Adam Pendleton and Adjaye Associates’ collaboration with Future/Pace and David Reinfurt would have brought an elongated steel walkway—part of which was cantilevered—into the park. Walter Hood’s project with Wodiczko + Bonder and Maryann Thompson Architects, The Ripple Effects, would have also significantly altered the landscape with a large, public plaza and terraced field. The Embrace is reminiscent of Anish Kapoor’s Cloud Gate (a.k.a The Bean) in Chicago's Millennium Park. People will be able to walk beneath the interlocked arms and gather in the public spaces surrounding the piece. It also provides a literal point of reflection for visitors and exists as a stand-alone sculpture that surprises but doesn’t overwhelm. According to a statement by King Boston, the sculpture and landscape call people toward empathy and action. ”Is there a more radical act of justice than love?” said Michael Murphy, founding principal and executive director of MASS Design Group. “The choice to love your neighbor, to love someone that is not yourself, to go into a community and act is the foundational seed of social justice. To us, there was no better way to honor the Kings’ legacy and advance collective action.” With such community support and government backing—Boston’s City Hall has already greenlighted the project, according to English—the group expects the project to be built fairly quickly. 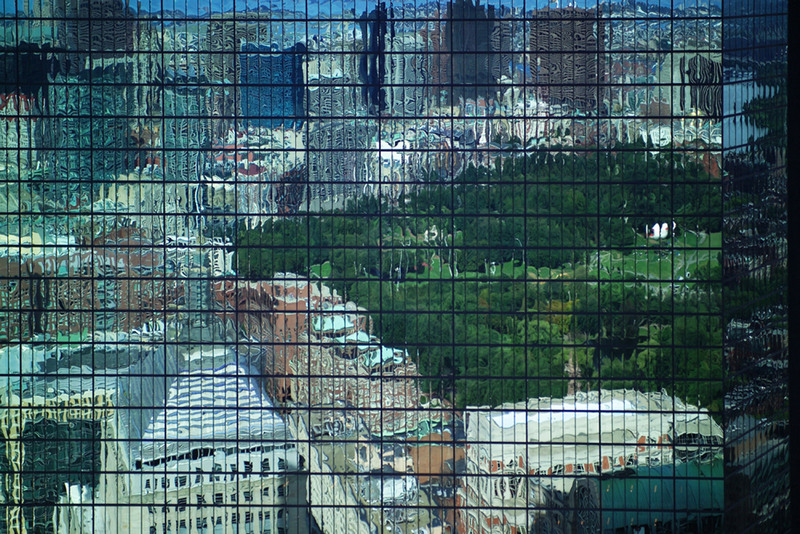 It’s likely to rise in conjunction with an already-planned restoration of Boston Common, reported The Globe. The nonprofit aims to raise up to $12 million for sculpture, which is likely to cost between $3 and $4 million. Some of the money raised will go toward the new King Center for Economic Justice in Roxbury, Massachusetts, as well as the local congregation of Twelfth Baptist Church where Dr. King preached and the couple first met. King Boston also plans to fund a 25-minute documentary on their love story and lives in Boston during the early 1950s. So far, $6 million have been raised. The pop-up, temporary store phenomena, began a dozen years ago when local, community-based associations attempted to deal quickly with unwelcome empty storefronts on struggling main streets. They have now become a cliché of contemporary corporate branding and a quick, inexpensive way to make a product seem "cool." But Spaceus, a temporary floating workshop in Boston and Cambridge, Massachusetts, is trying to put the local back into pop-up. 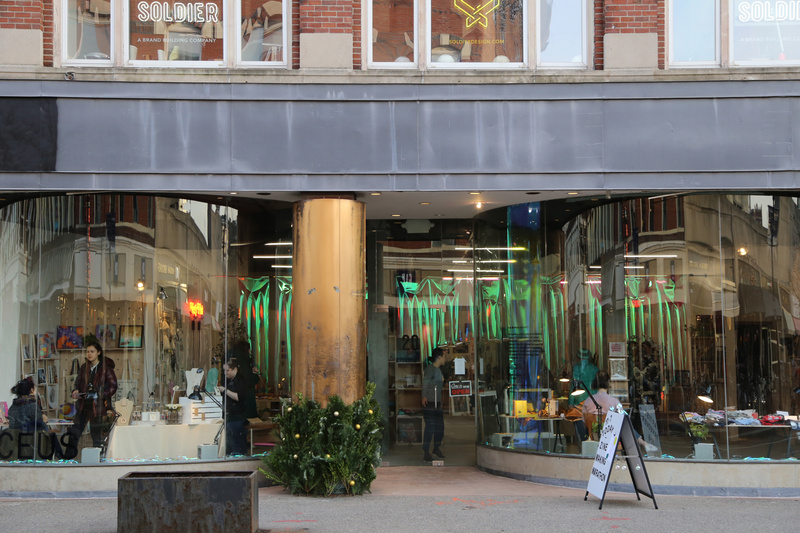 The creation of two MIT graduate students Ellen Shakespear and Stephanie Lee, Spaceus takes empty storefronts and turns them into temporary workspaces and information centers for artists. The architects created a membership structure that lets users determine the function of Spaceus, and then the designers used their skills to create a simple, inexpensive, and handsome walk-in space. The initial pop-up was located in an empty shop in Faneuil Hall, then the Roslindale neighborhood, then Harvard Square, and now on February 2, they launched their latest “hybrid workspace” at 11 First Street in East Cambridge. Shakespear and Lee think that “many young architects are frustrated by the traditional mode of practice” and “are looking toward new models of funding.” Instead of having to jump into top-down design practices as young professionals they went out and found a design problem to solve, organized their own client base, and created a space to make it work. 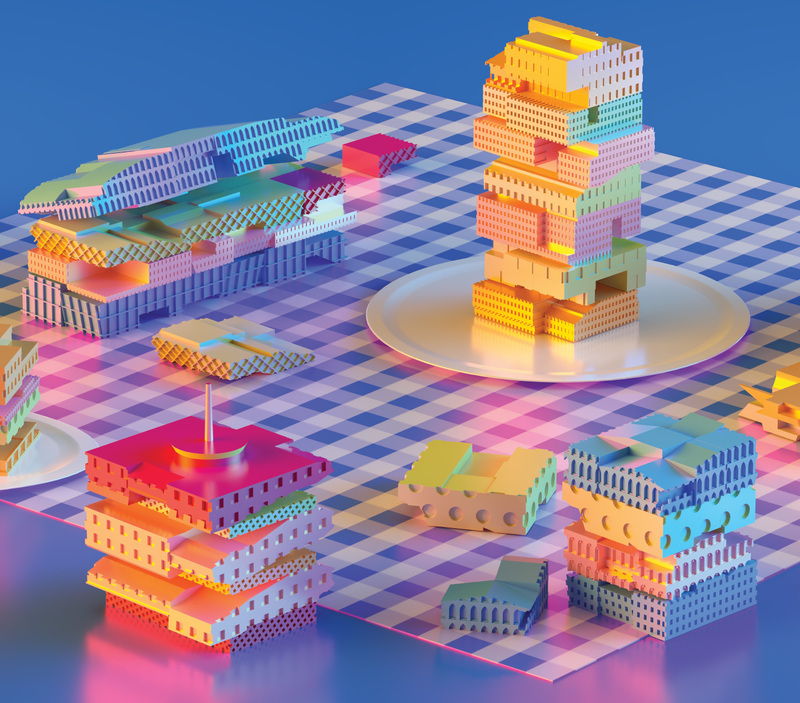 It’s not an entirely new idea that architects can take control of their agency, particularly at MIT, which has long supported "Participatory Action Research," but it is one that needs to be brought back into the architecture studio. Spaceus is the current generation's attempt to reinvigorate the model. If you’re in the Boston area, drop into the latest Spaceus in East Cambridge. A new architectural era is dawning at Boston University (BU) with the announcement of the building of the Data Sciences Center on the university’s main Charles River campus. 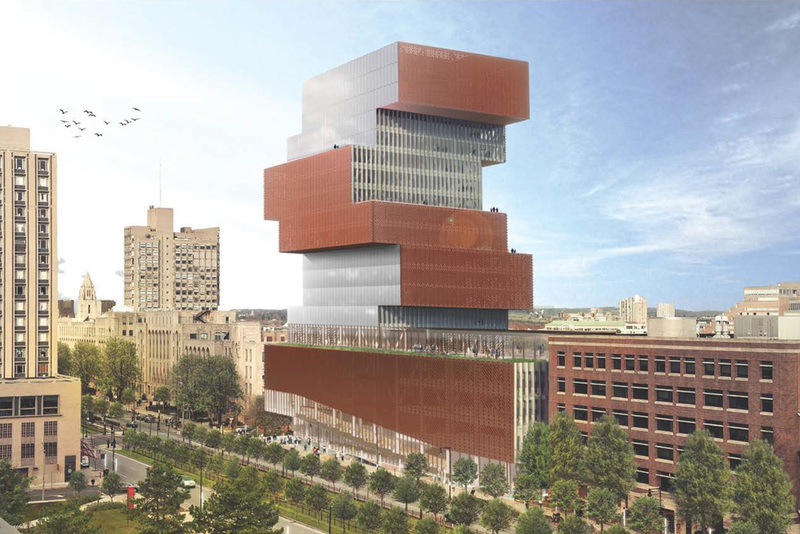 First, it is a bit of design daring not commonly seen in Boston: a ziggurat-shaped tower with multiple cantilevers that will be the tallest building on campus. 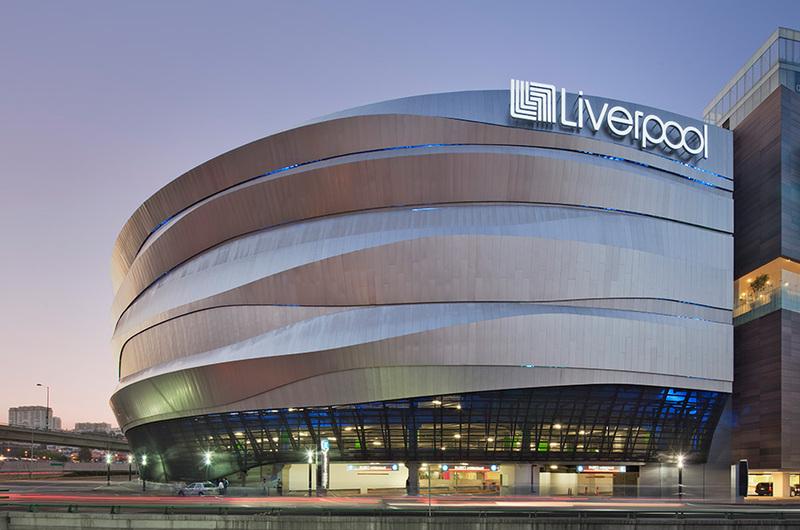 But moreover, it represents a break from the past for an institution that eschewed contemporary architectural patronage for more than two generations. “It’s like a spark plug that jumps out at you,” said Bruce Kuwabara, a partner in KPMB Architects of Toronto, designers of the building. 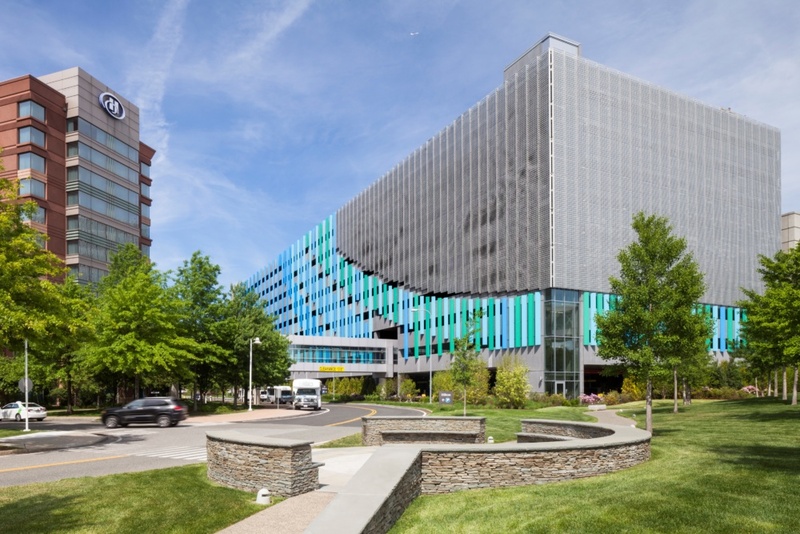 “BU wanted to make a statement.” Gary Nicksa, BU’s senior vice president for operations, concurred, adding: “The city has embraced the idea of more remarkable architecture at BU.” A little background is in order. 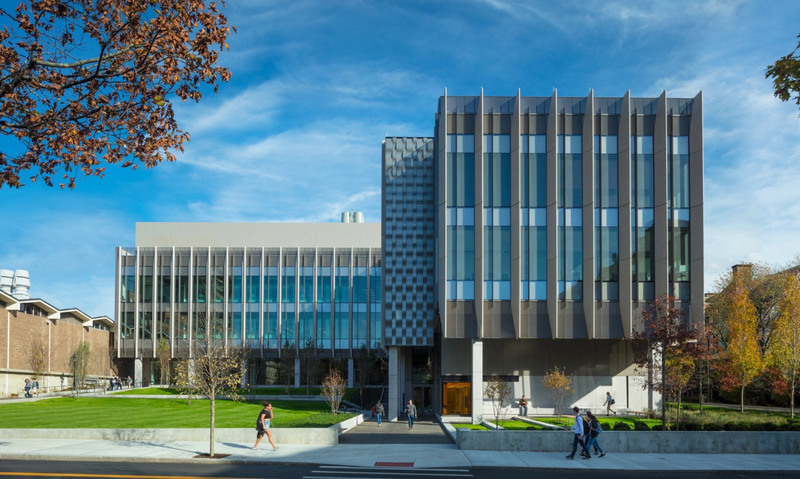 John Silber, president of the university from 1971 to 1996 and from 2002 to 2003, was an academic curmudgeon whose conservative politics were matched by his disdain for cutting-edge architecture. He even wrote a manifesto of sorts, a book titled Architecture of the Absurd, in which he excoriated his fellow college presidents for commissioning the likes of Frank Gehry and Steven Holl to design eye-catching buildings, singling out Massachusetts Institute of Technology (Stata Center by Gehry, Simmons Hall by Holl) for special scorn. But that was then, this is now. 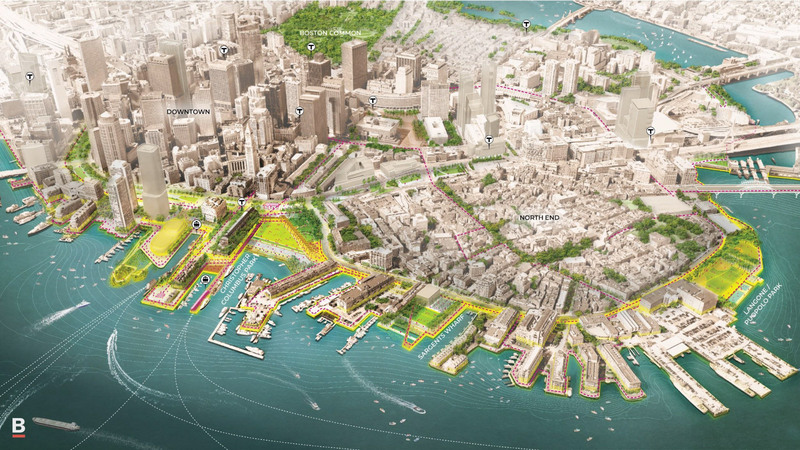 For this new landmark, BU invited a number of top architects to submit quals and then narrowed the field down to five: KPMB, Safdie Architects, Kohn Pedersen Fox, Bohlin Cywinski Jackson, and Elkus Manfredi Architects. BU officials visited works by many of the architects, taking a field trip to Toronto to view KPMB’s. Kuwabara described the KPMB scheme as a “vertical campus” that celebrates the importance of data science by bringing together the mathematics and statistics departments and the computer science department under one roof. The architect said the building’s spaces “spiral” around an interior atrium that is all about spontaneous encounters with colleagues and students that are essential in the data sciences field. “You need a building that encourages collisions,” Kuwabara said. The cantilevered and stepped massing yields several advantages. 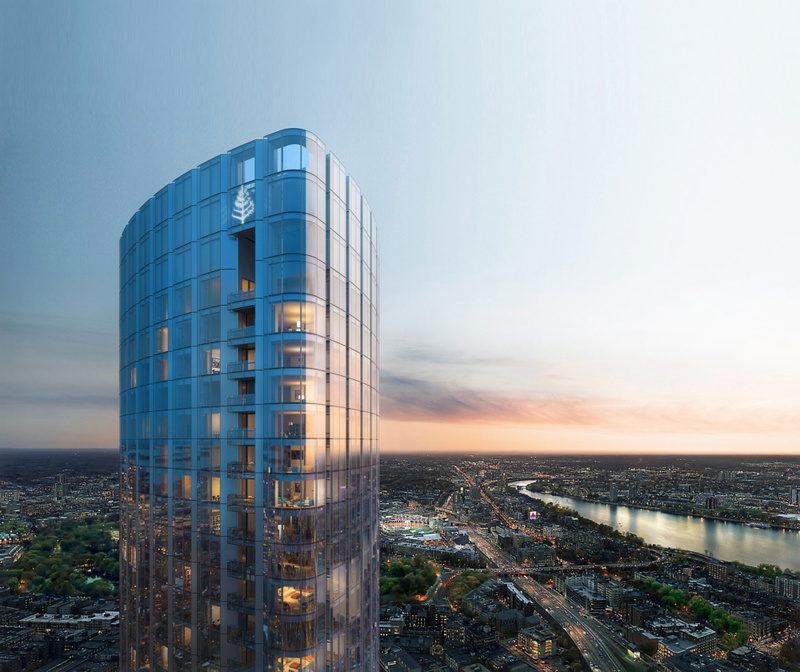 It forms balconies and green roofs that allow occupants fresh air and stunning views of the Boston skyline and Charles River. It will cause a play of light and shadow. And, significantly, it will appear to be a beehive at night, with loft-like interior spaces highly conducive to work and creativity 24/7. The choice of some materials is still a work in process. At present, the rust-colored cladding is specified as terracotta panels, but that could change, Kuwabara said. But whether terra cotta or metal, he says, it will be aesthetically compatible with the ubiquitous red brick found throughout Boston. Without specifically stating it, it is clear that BU wants a new architectural profile commensurate with those of Harvard University and MIT. “This will get noticed across the river,” Kuwabara said. A new monument dedicated to Martin Luther King, Jr., and Coretta Scott King is coming to Boston—the city where they first met—and five teams are in the running to design it. This week, MLK Boston, the organization spearheading the effort, announced the finalists chosen for the project. The official memorial will sit in Boston Common, the oldest park in the United States, where King marched and addressed the public on April 23, 1965. Within the 50-acre space are other monuments and landmarks including the Shaw Memorial and the Parkman Bandstand. The Boston Capitol Building, the Freedom Trail, as well as the Black Heritage Trail also surround the 384-year-old site. To provide context for the new memorial, MLK Boston asked participants to create a site-specific permanent installation that would incorporate engraved phrases of the Kings’ seminal texts and speeches, and would use digital technology to enhance users’ experience. With the park serving as an everyday gathering place and home to many notable historic rallies, the memorial is meant to both inspire and engage the local community to reflect upon the pairs’ contributions to the Civil Rights Movement and the future of equality, peace, and justice in the United States. Through October 16, the public can review each of the proposals and submit feedback. All designs are also on view at the Boston Public Library in Copley Square and the Bolling Building in Roxbury. Check out the five finalists below: Avenue of Peace Yinka Shonibare and Stephen Stimson Associates This memorial walk in Boston Common will center around a towering fountain covered in a colorful mosaic. Set inside an oval reflecting pool lined with black granite, the sculpture will include the names of the pioneering Civil Rights activists as well as an olive branch design, signifying their commitment to peace. Twenty-two inscribed benches will be built along the walk and an interactive app will be available for download, telling the individual stories of King and Scott before they met in Boston, as well as their life together afterward. Boston’s King Memorial Adam Pendleton, Adjaye Associates with Future/Pace and David Reinfurt Inspired by Dr. King’s 1968 speech, “I’ve Been to the Mountaintop,” this design provides a panoramic view of Boston Common via an elongated overlook made of black stone. 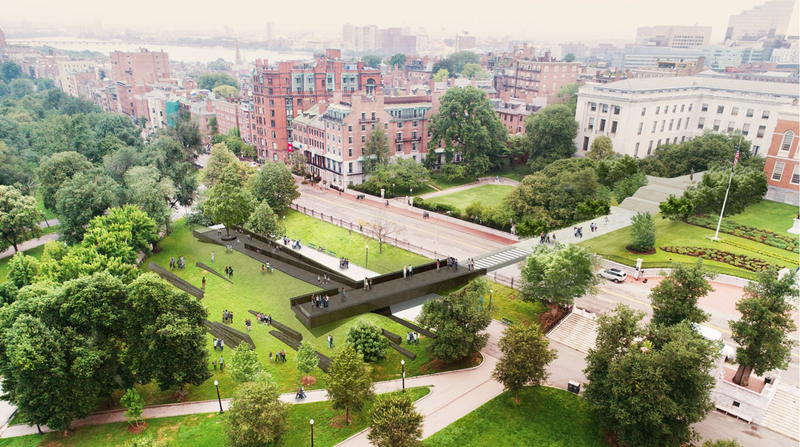 The open structure bridges serve as handicap accessible walking paths descending from Beacon Street, while the sloped stone sculptures on the lawn provide public seating and form a radical amphitheater, according to the architects. Engraved on the surface of each stone is text from the Kings’ most famous speeches. A digital platform for mobile devices will accompany the memorial and provide additional transcripts, audio, and images. The Embrace Hank Willis Thomas with MASS Design Group This stand-out sculpture symbolizes the love and commitment that Dr. King and Coretta Scott had for each other, while simultaneously reminding visitors of the power of protest in the fight against injustice. 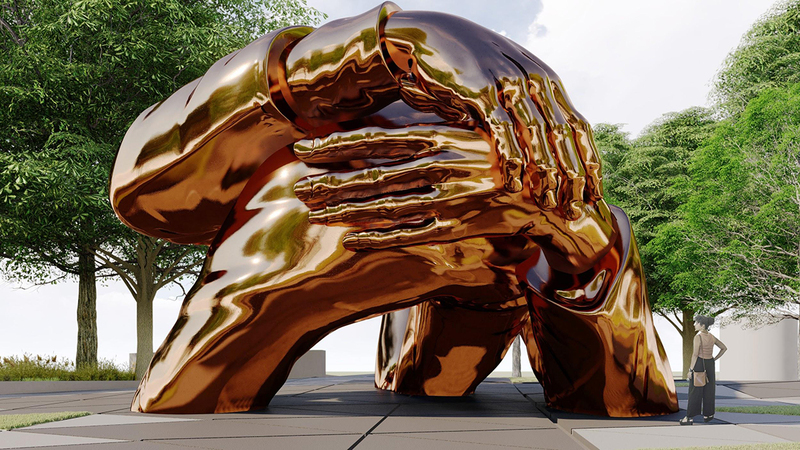 Set atop a gentle incline, the 22-foot-high arms of the couple will be built with a mirrored bronze finish, allowing the reflection of both passersby and the surrounding park to be seen in the sculpture. People can walk through The Embrace and inspect it close up as well. The site will be split into two plazas and form an axis from the Capitol, to the Parkman Bandstand, and to Dudley Square where a proposed MLK education center may be built. Empty Pulpit Monument Barbara Chase-Riboud Set inside an undulating landscape of rolling hills, the focal point of this design is a truncated stone pyramid that forms a beacon of light at night. The towering structure is constructed out of granite and bronze and is inspired by a 17th-century wood pulpit, symbolizing MLK’s silenced voice. Visitors can walk underneath the monument via a passageway to see engraved images detailing the diaspora. On the back of the bronze sculpture will be the Kings’ most powerful quote, according to the designer, “I have decided to stick with LOVE, HATE is too great a burden to bear…” Bronze plaques with other famous phrases by the pair will be embedded into the surrounding greenery. The Ripple Effects Wodiczko + Bonder/Maryann Thompson Architects with Walter Hood The Ripple Effects showcases the impact the Kings’ leadership has had on future generations and their role in the emancipatory process in Boston, across the U.S., and around the world. Centered around two beacon towers that serve as a reminder of the couples' continuing presence, the memorial's ground rises from the plaza with terraced green spaces for seating. It would culminate in an empty, shaded platform for gathering and reflection. The bridge above would lead visitors across the Common and feature inscribed text chronicling emancipatory events from the 19th century to today. Below the bridge will be a glass wall where visitors can literally and figuratively reflect on their own role in this ongoing process of emancipation and activism.